If you’ve noticed odd sensations in your feet and toes such as burning or tingling or a decrease in sensation or the ability to feel at all, you may have peripheral neuropathy. Peripheral nerves are the ones at the periphery of your body—essentially your fingertips and toes or feet. 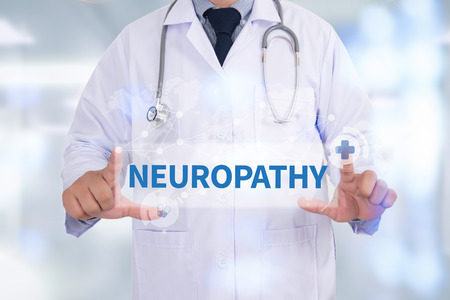 Neuropathy is another word for nerve damage. At NY Foot Health we want patients to be aware of what changes in their feet can mean and encourage you to have your feet evaluated when you notice something unusual going on. If you have less feeling in your feet, you may not notice when an injury has occurred or a rash or blister is forming. For patients with diabetes—one of the major causes of peripheral neuropathy—this can mean precious time is lost before treatment is started on a wound. That can have dire medical consequences. Diabetic patients are slower to heal and at a greater risk for amputation. But even if you are not diabetic, loss of sensation in your feet can increase your risk of falls, burns, infections, fractures, puncture wounds and other injuries. If you’d like to learn more about this and other foot conditions, contact us and subscribe to our free e-newsletter.